Why Are Diploma Frames So Expensive? “Why are diploma frames so expensive?” It’s a question we hear a lot. Yes, you could buy a flimsy $10 frame at your local “art supplies, crafts and framing” store. But why would you put a priceless document at risk? 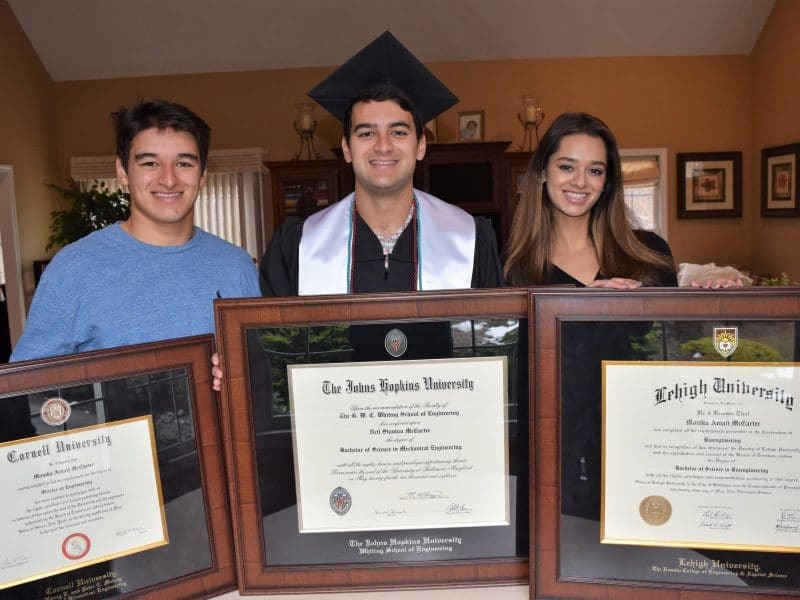 Take a moment to consider your college diploma’s worth: a four-year degree = hundreds of thousands of dollars + years of family sacrifices + countless hours studying + once-in-a-lifetime memories. When you think about all of the time, money, and energy that went into earning that piece of paper, why would you let it fade, crack, and disintegrate in a cheap dollar store frame? Doesn’t it deserve the very best diploma frame? That Paper Is Worth $150,000 or More! A college diploma is one of the most expensive and valuable credentials you’ll ever earn, and it’s printed on one of the most fragile materials. Paper can easily tear, crease, stain, and deteriorate due to improper handling or storage. You might think that keeping your degree in its original diploma holder or rolled up in its cardboard mailing tube will keep it safe, but acids from these storage materials can eat away at the cellulose in your document, causing the paper to turn yellow, become brittle, and eventually crack. What Goes into Making the Best Diploma Frames? We don’t take any shortcuts when it comes to our custom-made, college degree frames. At Church Hill Classics, we offer the highest-quality materials and stand behind every frame we make. Delivering awesomeness to our customers every single time is our #1 priority. It’s why you can trust Church Hill Classics’ products to protect, preserve, and showcase your milestone achievements for years to come. Just how did we become the leaders in our industry? 1.) 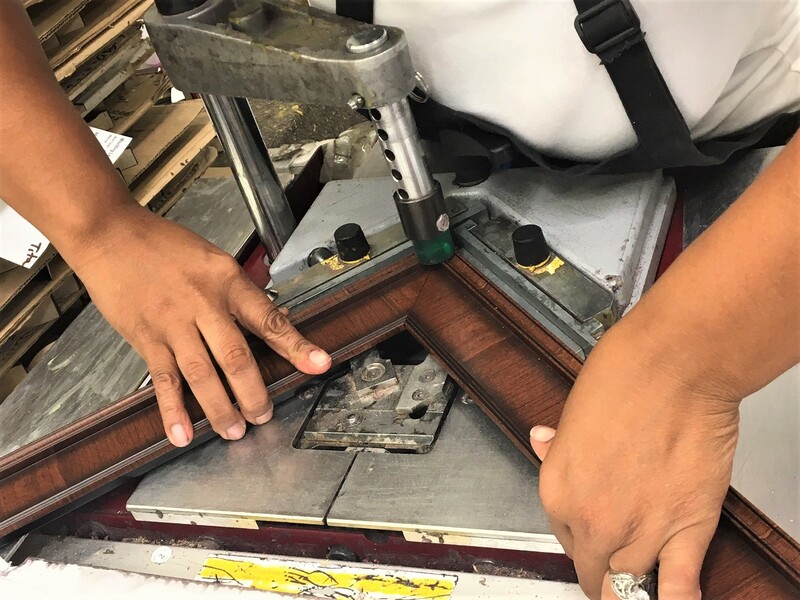 Each USA-Made Degree Frame is Custom-Built by Hand. Custom framing is a time-honored tradition that we take very seriously. You won’t find boxes of pre-assembled frames on our production floor. Nothing is mass-produced here in our Connecticut facility—every frame is made-to-order according to your specifications. So whether you’re looking for a double diploma frame, a degree frame featuring a college campus photo, or a diploma frame with tassel holder, if you design it, we’ll build it! Our in-house team of master framers and skilled artisans cut, measure, and join every moulding; measure and hand-cut each piece of glass; and emboss official logos and school names in gold or silver foil with expert precision. Next, technicians with decades of experience carefully assemble each frame by hand. 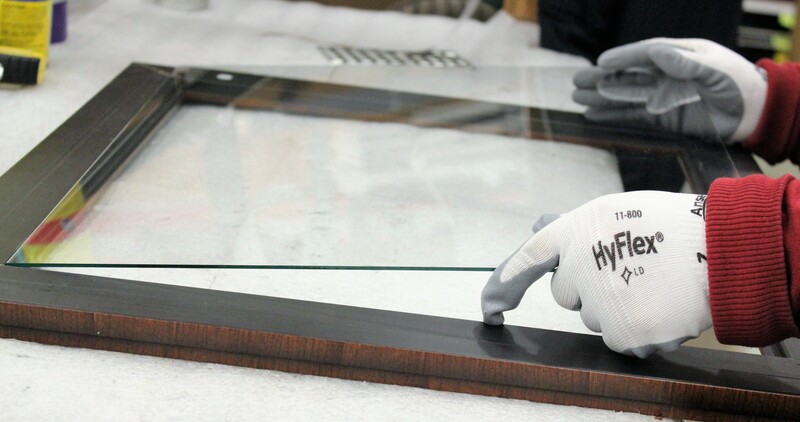 Then our quality-control specialists clean and thoroughly inspect every framing component. We’ll never sacrifice quality for speed. We start building your frame as soon as your order comes in, and it takes 5-7 business days to carefully craft it from start to finish, just the way you custom-ordered it. It’s how we deliver the very best diploma frame to our customers and why we can guarantee 100% happiness with their purchase. 2.) We Provide Superior Document Protection. The only way to protect a priceless document from acid, mold, and insect damage? 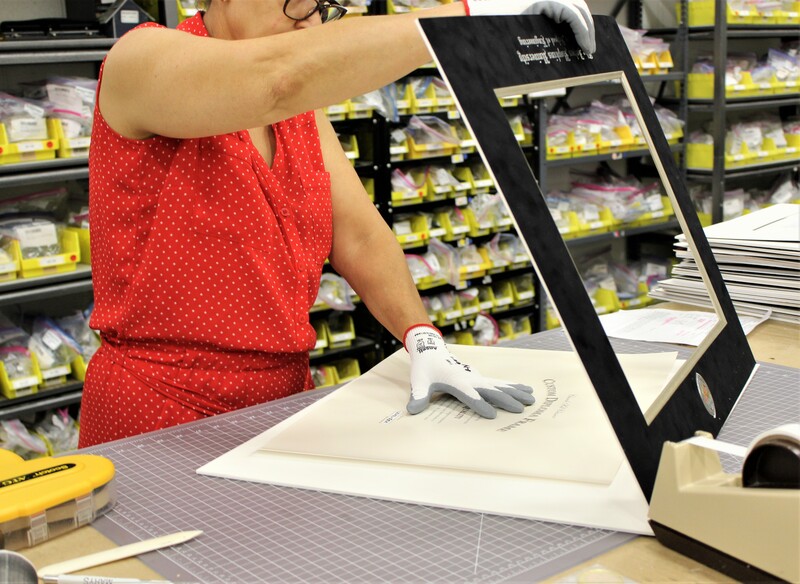 Safeguard it in a protective frame offering museum-quality matting, backing, and mounting materials that meet the stringent Library of Congress standards for document preservation. And no, you won’t find that level of protection at your local craft store or from trendy, online companies claiming to be “framing experts”! The cardboard backings found on standard frames are notorious for yellowing, fading, and promoting mildew on documents. Our archival-quality, custom-cut mats are acid-free, lignin-free, and have a pure white bevel that will not discolor over time. The long-term preservation and protection of your college degree is always top of mind for us at Church Hill Classics. It’s the reason we’d never ask customers to send something as valuable as their hard-earned diplomas in the mail! Why would you risk damaging or losing a piece of paper that’s worth thousands of dollars? All of our frames feature easy-open backs, so inserting your diploma couldn’t be simpler! We even provide archival-quality tape along with simple step-by-step instructions for assembling and hanging your custom diploma frame. 3.) Your Diploma Won’t Fade. What else won’t you find at your local hobby shop? Frame glass with proper glazing designed to protect your diploma from harmful ultraviolet (UV) rays. “Glazing” refers to the coating on your picture frame glass and the level of protection it offers to your document. The most popular type of glazing is clear standard glass, which is strong, fairly inexpensive, doesn’t scratch easily, and offers 45% UV protection. Clear standard glass is ideal for frames that are displayed out of direct sunlight because the glass blocks out harmful UV rays. In addition to standard glass, Church Hill Classics offers glass option upgrades for the ultimate protection of your document or diploma. These include Conservation UV Protection glazing, which blocks up to 99% of UV light, and Conservation UV Protection + Reflection Control, which blocks up to 99% of UV light while also eliminating any glare or reflection on the glass. Light exposure can cause fading, discoloration, disintegrating cellulose, and chemical alterations to paper and inks. Once light damage occurs, it can never be reversed. Storing your diploma beneath our high-quality glass will also protect it against damage from moisture, heat, insects, airborne pollutants, and improper handling. 4.) We Sell Officially Licensed Diploma Frames. When you purchase a Church Hill Classics diploma frame bearing your school’s name, you’re buying a licensed product that allows you to proudly display your college’s official seal, branded wordmarks, and athletic logos. Local frame shops typically do not have permission or the ability to offer specially made frames embossed with the official name and seal of an institution. Plus, you can be assured that you’re choosing a superior graduation frame. All authorized merchandise is reviewed for quality workmanship, and licensed companies are carefully screened and evaluated for their customer service and responsiveness. Since all products must be in compliance with each university’s specific brand identity standards, buying licensed merchandise ensures that any items bearing school marks are of the highest quality and are used only in connection with products with which the university has chosen to be identified. Best of all? 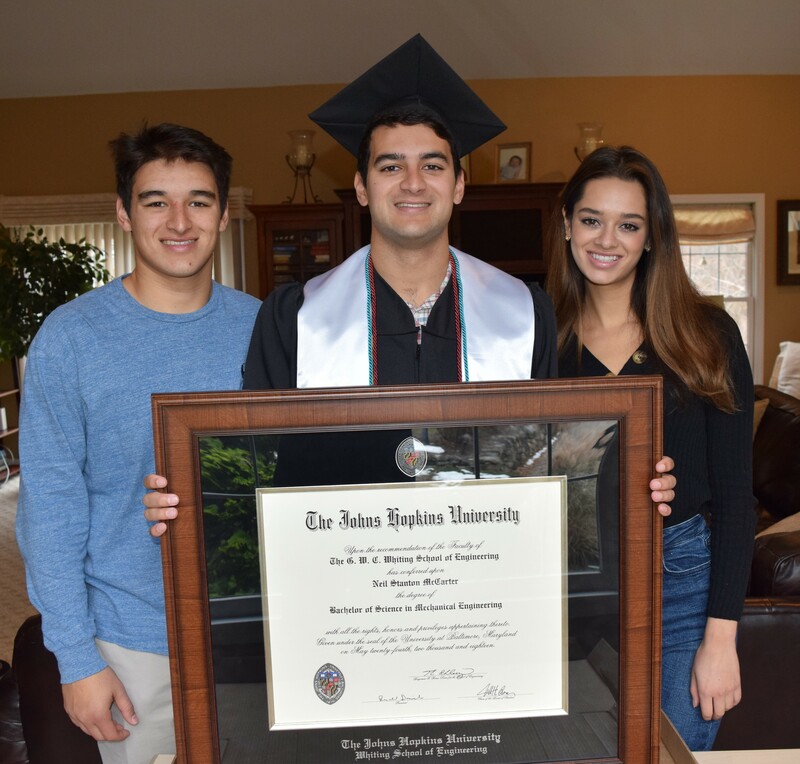 Purchasing an officially licensed degree frame helps support your college or university because part of the proceeds for each licensed diploma frame sold goes back to the school’s local college store or alumni association, often run by the institution itself. Licensing fees that come from the purchase of licensed products generally help fund academic scholarships and athletic programs at the universities. So, buying officially licensed frames benefits the university the customer loves rather than an unlicensed competitor. 5.) 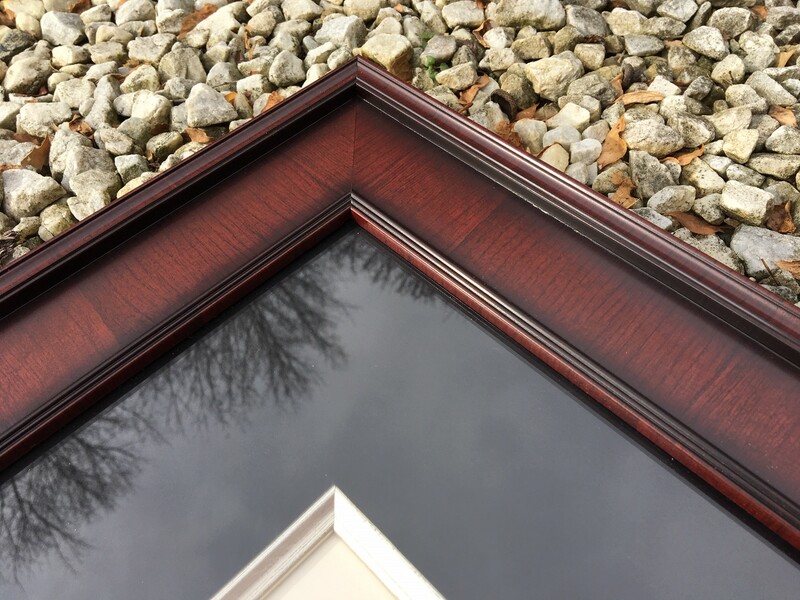 We Offer Solid Hardwood Frame Mouldings. Our premium diploma frame mouldings aren’t made with plastic or fake wood like the low-end frames that you’ll find at hobby stores. They’re made of solid hardwood from reforested sources that are carefully monitored by government agencies. In fact, all of our frames are produced from renewable woods that are grown and harvested using environmentally responsible practices. Church Hill Classics is dedicated to environmental conservation and promoting global sustainability. It’s why we only purchase moulding from vendors who are committed to responsible forestry and regular replanting. We even offer a selection of frame mouldings that are made with 100% recycled American wood. As part of our commitment to green practices, Church Hill Classics is a proud member of the U.S. Environmental Protection Agency’s (EPA’s) WasteWise Program. 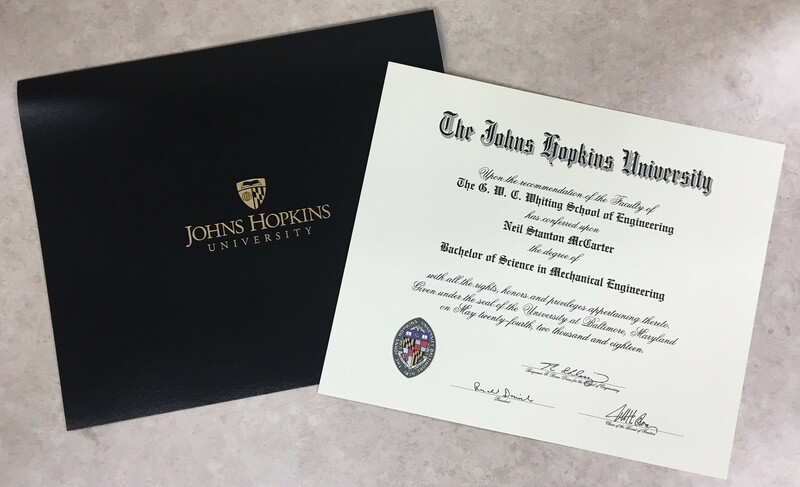 Whether it’s our hardwood mouldings, our glass selection, or our matting and backing materials, we use only the best, so that you can be sure your diploma will be preserved with the utmost care while it’s being displayed. With a Certified Picture Framer on staff, our museum-quality framing materials are carefully selected, and our diploma framing procedures adhere to the guidelines of the Professional Picture Framers Association. 6.) Our Graduation Frames Deliver “WOW!” Moments. We’re not just building frames here at Church Hill Classics, we’re crafting impactful, one-on-one customer experiences. Even during the height of graduation season, when we’re busy cutting glass, joining frame mouldings, embossing mats, and packing up orders, we never lose sight of what an important time this is for our customers and their loved ones. Our goal is to deliver more than our customers expect, something even better than they imagine—huge smiles, tears of joy, and a surge of pride all wrapped up into one big “WOW!” moment. This is what we strive to deliver every single day from our little town in New England to our customers across the USA. Best of all? We know our customers will be wowed—in fact, we guarantee it! When it comes down to it, education isn’t expensive….it’s priceless. That’s why it’s critical to protect the investment you’ve made in your future. We pride ourselves on our high standards, our business ethics, and our ability to deliver only the very best diploma frames to our customers. So how can we sum up our product’s worth in a single sentence? 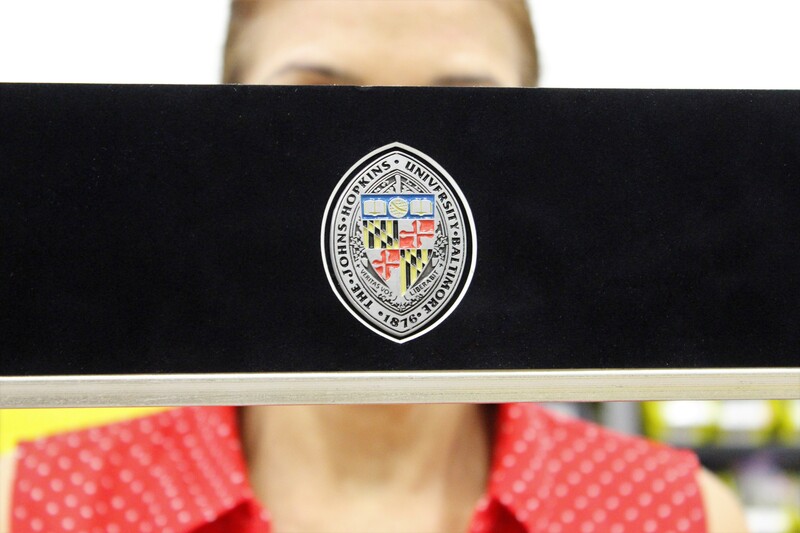 Here’s how: Our handcrafted, officially licensed diploma frames are made from superior-quality materials and will safeguard your valuable credentials like no other—guaranteed! Trust us to deliver your very own “WOW!” moment: Shop for your official Church Hill Classics diploma frame today!